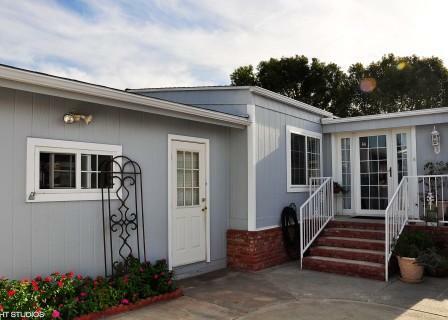 The Groves is a Resident Owned and Owner occupied Senior 55/45+ Mobile Home Park in Irvine, Ca. Included in the price is the home and a Share in the Corporation that owns the land; bottom line: there is NO SPACE RENT! Community amenities include but are not limited to: pool, sauna; spa, exercise room, game room with pool tables, ping-pong and shuffleboard table, tennis, basketball, lawn bowling, 9 hole putting green, multipurpose rooms, banquet facilities, beauty salon, 6.5 acre park with BBQs and picnic tables with awnings, gardens, RV storage, high pressure car wash, wood shop and on-site activities coordinator. The list goes on! 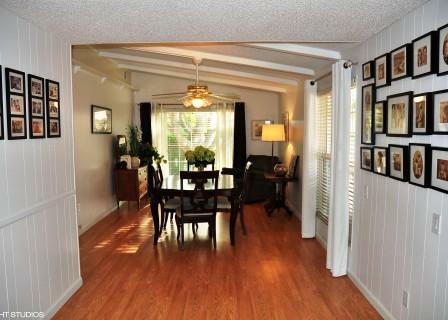 An amazing design, this home has 3 bedrooms, 2 baths with vaulted ceilings throughout the home. 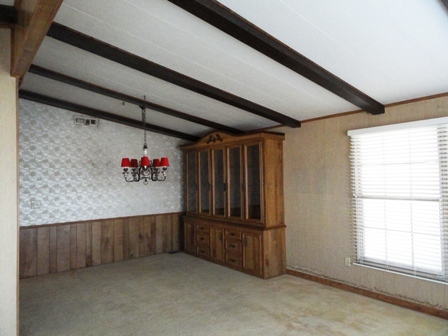 Every room has vaulted ceilings (including the bathrooms!). 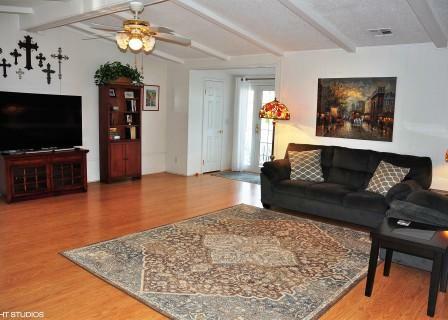 A very large and spacious living room with fireplace and lots of natural light. Bay window in dinning room with mirrored built in hutch. 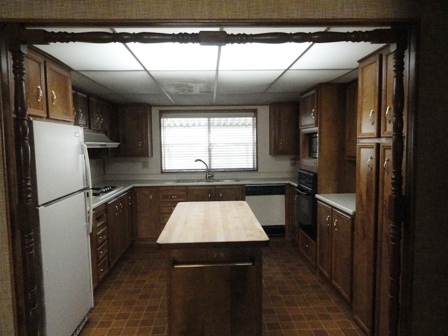 Master on one end of the home with 2 bedrooms on the other, both large rooms. Located on a greenbelt and in a cul-de-sac with a 2 car garage, 2 car driveway and large patio/breezeway between garage and home. Don't miss seeing this home! 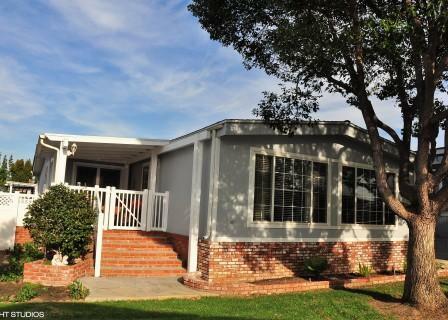 This 1760 square foot Golden West home offers 2 bedrooms and 2 bathrooms, master has huge walk-in closet and featuring an office located off of the family room and fireplace in family room; along with lovely plantation shutters in both living room and family room. A very large front porch faces southwest to enjoy our lovely Southern California sunsets. The home is located near our beautiful seven acre private park featuring a nine hole putting green, horse shoe pits, and covered pavilion with barbecues. 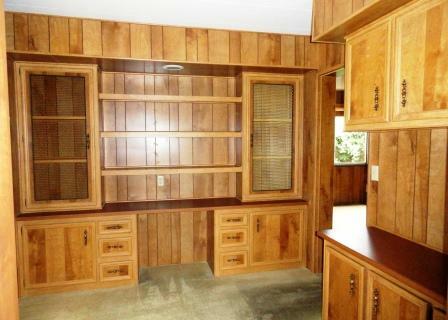 This home has great floor plan and would be perfect for a remodel. 2 Car Garage and Driveway! A one of a kind floor plan never seen in The Groves. 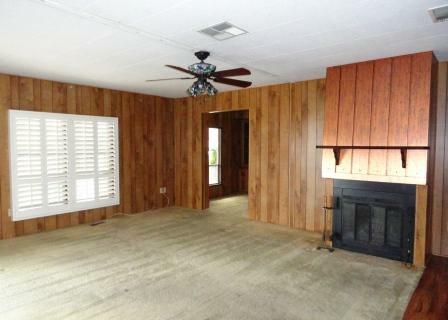 This home has large living room with vaulted ceilings, fire place and large windows, 2 good size bedrooms with separate guest bath off hall. 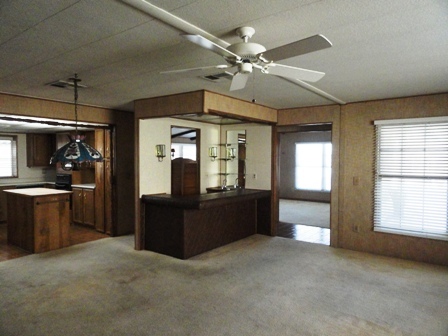 Master bedroom has vaulted ceilings with dual open walk-in closet and spacious bathroom. 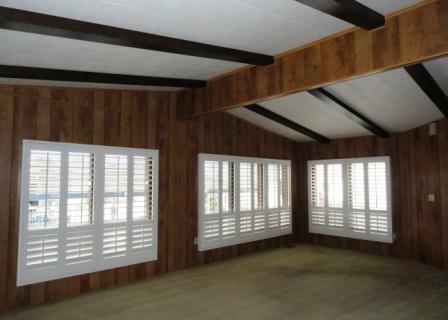 Enclosed patio with sliders to the kitchen/dining area and separate slider to the master bedroom. 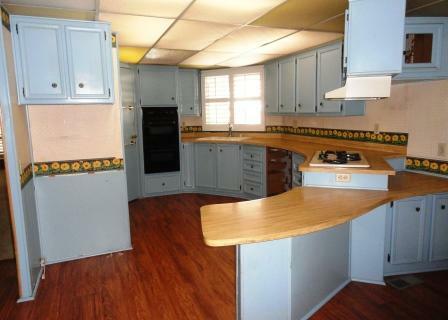 Located on a cul-de-sac with a 2 car garage. Bring your creative ideas and give this home your personal touch. More photos to come! 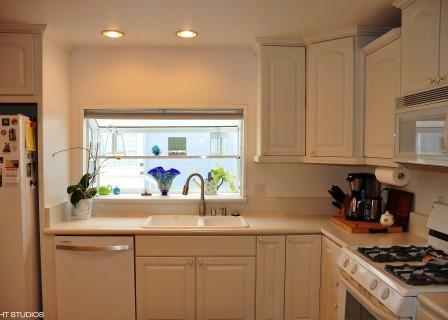 A corner lot with 2046 square feet of living space. This enviable floor plan has 2 bedrooms on opposite ends of the home, a very large great room with fireplace and lots of windows and vaulted ceilings is perfect for entertaining family and friends. An open concept with kitchen and dining room open to this massive living room. Long carport with huge storage shed. Don't miss this charming home! More photos to come! This very desirable open floor plan, conveniently clubhouse close features 2 bedrooms situated on opposite sides of the home. Currently the bedroom with windows looking out on the lovely greenbelt setting is being used as an office/work/craft room. The living room with cathedral ceiling and dining room are spacious and open to the remodeled kitchen with its lovely garden window, craft maid cabinets, new dishwasher and eating area with built in glass front hutch. The dining room/sitting room also looks out on the greenbelt. French style double doors lead from the living room to the (enclosed by a new vinyl fence) charming courtyard located next to the two car garage. New vinyl windows, newer roof and hot water heater, interior doors and vinyl plank floors and freshly painted exterior are just a few of the upgrades this home has to offer. This extremely large 1978 Golden West Country Estate home with 2006 square feet of living space, has an enviable and well sough after floor plan. This home features a living and dining room combination, with cathedral ceiling, family room and separate office area, as well as 2 bedrooms and 2 bathrooms. 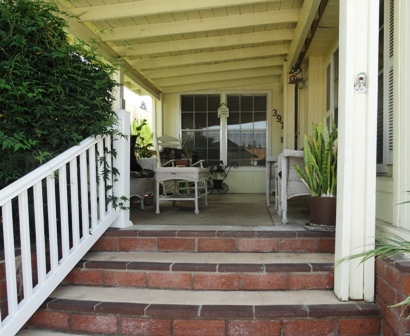 The spacious raised front porch and open view of the neighborhood provides an amazing environment where family and friends can really enjoy Southern California outdoor living at its best! A very maintained home features a spacious kitchen with island allowing for tons of elbow room while preparing meals and the newer HVAC and water heater are a plus!